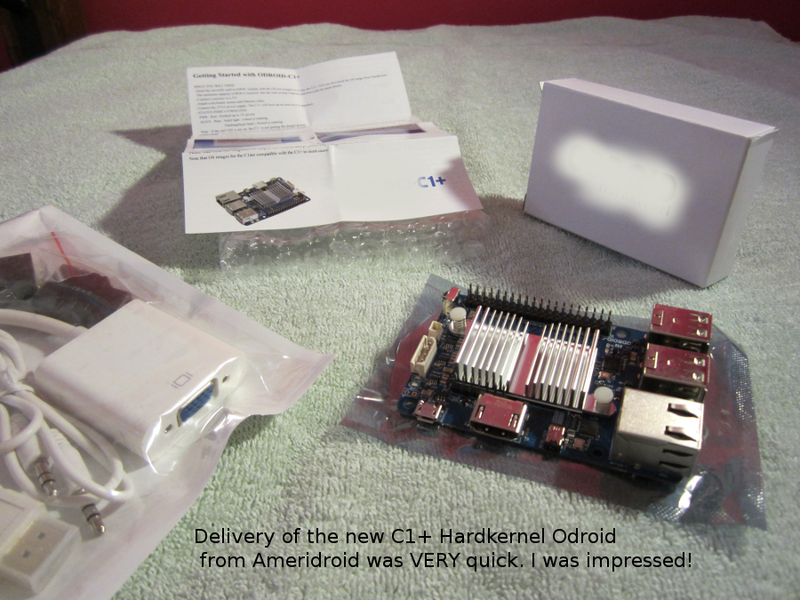 Figure 1: New Odroid C1 purchased from Hardkernel’s Ameridroid reseller arrived in two days. The new SoC computer arrived in two days. I had not had time to think about it much, but already it appeared in the mailbox. This speedy delivery was a facet of the first board I ordered, and that now powers the little “tablet” I’ve been writing about lately. A short time after I retrieved the package from the mailbox, I began using the new SoC based machine to gimp-edit the photos on this page. I took one of the SD cards that I had been using for Linux operation on the tablet (which uses the original C1 board), and plugged that card into the new C1+ board. Additionally, I plugged the VGA/HDMI converter (also purchased from Ameridroid) into the new C1+, and plugged the mouse and keyboard into it as well. Then I pushed an ethernet cable into the Gigabit ethernet RJ connector, and a power supply connector plug into the miniature power jack. The board booted into LUbuntu Linux, but the screen resolution was a bit off. I realized that my tablet configuration used the VU, and not the old VGA monitor that I had just now connected to the board. I changed the boot.ini to reflect the change, rebooted, and the resolution was a crisp 1280×1024. After the tests with LUbuntu Linux, I pulled the NetBSD 7.0 imaged SD card from the tablet, and slid it into the new C1+ board. The results were similar to the Linux results, where I had to make boot.ini changes to optimize video. So, NetBSD works fine on the new board. That’s a big hooray! I keep finding uses for these little boards, and so I decided I needed another one. This one (the C1+) has some improvements over the original (C1) board. My latest ideas include putting a weather board together (for reading barometric pressure, temperature, and elevation), utilizing the I2C inputs of the Odroid’s seven pin connector for that purpose. It should be a fairly straightforward setup, using the BMP180 sensor board, which can be had by visiting Amazon.com – for a mere $11 plus shipping. The temperature board without pressure is six bucks. I’d also like to put a shortwave radio into the homemade tablet! Use of the shortwave radio board I have in mind ($20) – requires two REAL line-in audio ports. Most USB audio dongles have only microphone input instead off real line-in input. The single microphone input circuit isn’t sufficient. After some searching, I found a small audio board that implements USB audio, but with real line connectors (line-in 1, and line-in 2) that costs only ten dollars. Line levels in audio can be 2 volts peak-to-peak, or even higher. Microphone inputs expect only 2 to 30 milli-volts. So, cross matching those two things is a disaster waiting to happen. One could build an attenuator from a simple voltage divider to drop line levels to microphone input levels, but there is another problem that necessitates the line-in approach. I thought about putting a QRP transmitter inside the tablet, but then I’d have to worry about the radio frequency energy messing with the Odroid’s good karma. I decided that the transmitter would more properly be an outboard thing. 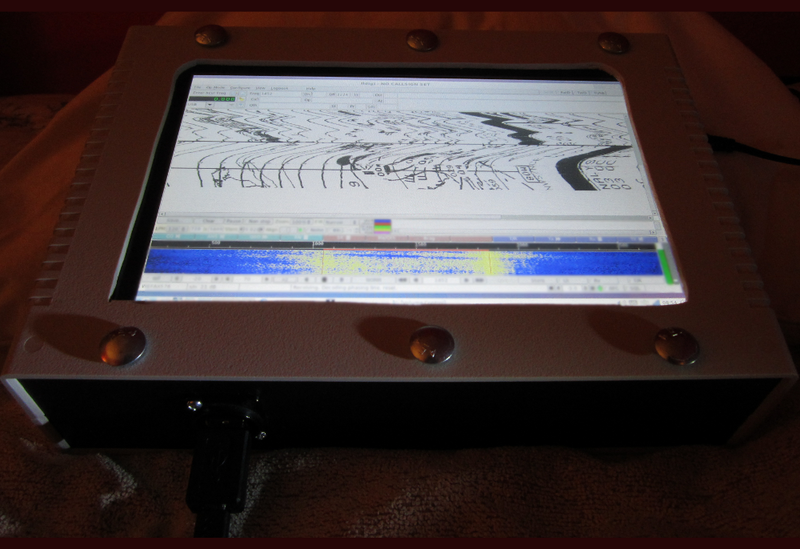 The photo (above) shows the Odroid C1 powered homemade tablet receiving a weather fax. This particular fax was received from the New Orleans US Coast Guard transmitter, which transmits faxes with 4 Kilowatts on shortwave frequencies at various times of the day. The signal at the top of the frame can be seen to have experienced interference, while the output shown at the bottom of the frame has steadied into something legible. The software is known as “FlDigi” software, and is available as open source on the internet. The audio for this fax capture was generated externally, but a small shortwave board could easily be put into the tablet. The weather fax setup could be programmable, to allow for the scanning of various shortwave frequencies (taken from a government frequency list) – for weather facsimiles. The blue, bottom portion of the screen shows a visual representation of the signal coming from the transmitter. Point and click “tuning bars” optimize the reception, but an AFC (automatic frequency control) is available in the package, which is available at http://www.w1hkj.com/ (those are ham radio call letters). The https://amateurmiscellany.wordpress.com site referenced at the top of this post is my radio related site, where I spend time doing things similar to what I do here, but where everything is much bigger. 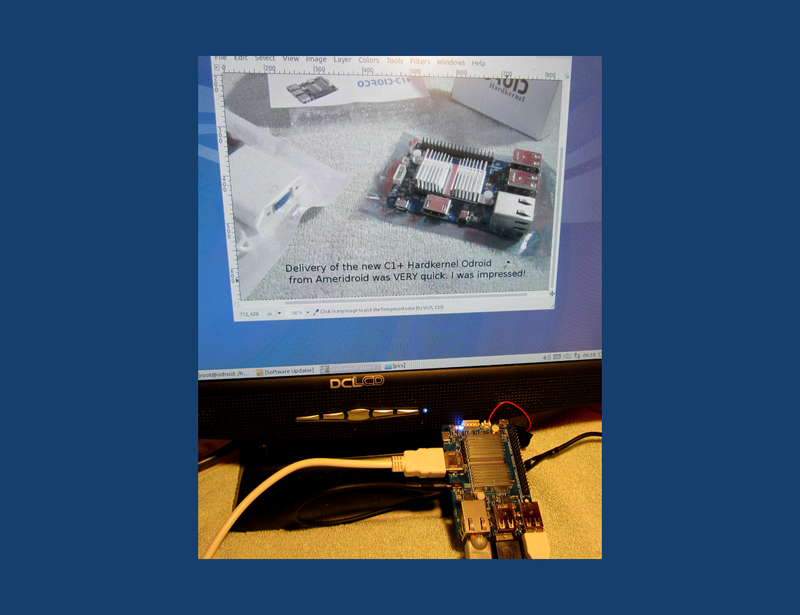 BTW: the FlDigi ham/shortware software in the referenced article is running on the Odroid with NetBSD! Note: NetBSD is trademarked by the NetBSD Foundation, Inc, and the operating system can be found at http://www.netbsd.org. This author and site has no affiliation with NetBSD.